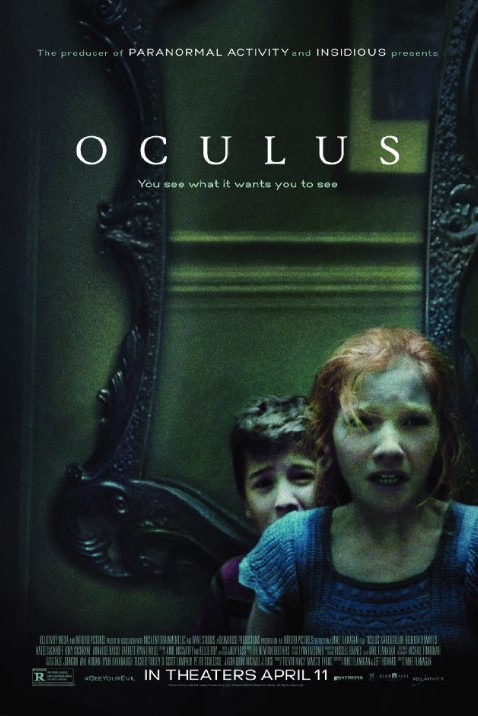 Oculus is a suspense/horror movie from writer/director Mike Flanagan. It jumps back and forth telling the horrific story of the Russell family, both in present day, and 12 years ago. Tim Russell (Brenton Thwaites) has finally been released from a mental hospital following past events. His sister Kaylie (Amy Pond Karen Gillan) is convinced a haunted antique mirror was the source of their family’s troubles, and is determined to prove it. Reluctantly, Tim helps her in her plan, expecting what she really needs is help letting go of the past. I think my expectations were a tad too high for this one. I remember being moderately intrigued by the trailers, but never getting a chance to see it in theatres. Moderate levels of praise kept my expectations tempered in the interim. After learning Flanagan has been given a chance to write and direct Stephen King’s completely unfilmable Gerald’s Game, and that some people thought he was a good choice–largely because of this movie–it moved to the top of my To-See list.